William J. Newcomb is a visiting scholar at the U.S.-Korea Institute, Johns Hopkins School of Advanced International Studies. In 2011, he was appointed by UN Secretary General Ban Ki-moon to serve on the Panel of Experts established pursuant to UN Security Council Resolution 1874 (2009). He remained on the panel, serving as the expert on finance through June 2014, when he resigned. 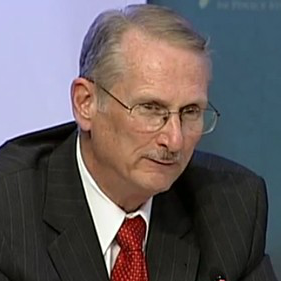 A former US government economist, Mr. Newcomb retired in 2008 from the US Department of the Treasury, where he had been Senior Economic Advisor to the Assistant Secretary for Intelligence and Analysis. He has studied economic developments in North Korea for more than 30 years and, between 2002 and 2005, was deputy coordinator of the US State Department’s North Korea Working Group. He served in the US Army from 1970 to 1972.